Following the release of the second Tobias. solo album on Ostgut Ton this February, Mathew Jonson & The Mole, Peter Van Hoesen and Blue Hour deliver three of the album tracks in remix form. On the album A Series Of Shocks the multifaceted tracks and their puristic sonority exemplify a contemporary sound that shines through its passion for detail and the decades of experience that Tobias. brings to his music. 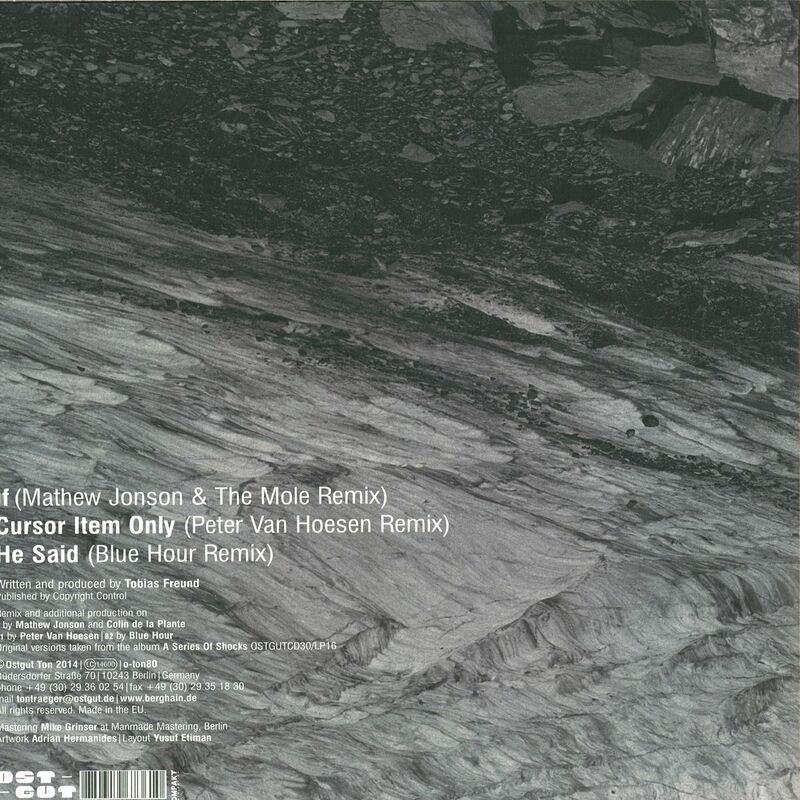 The Mathew Jonson & The Mole remix spans the whole A side of the 12“. The track is constructed over 9 minutes. An arc of suspense is built by the gently rising percussion and the mix of the hi-hats. The trademark Tobias. sound completes this excursion and a completely new track emerges. The original elements of “If“ remain perceptible as hints only but this remix is a fine addendum to the album. “Cursor Item Only“ acquires a new direction in the remix by Peter Van Hoesen, who previously contributed an astonishing intro track for Marcel Fengler’s Berghain 05 mix. His remix of “Cursor Item Only“ is a broken techno groove with absorbing bell structures, in combination with intriguing effects they appear to turn on themselves like a screw inside the break only to plunge back to their starting position the very next moment. The last remix comes from the relative new face Blue Hour. 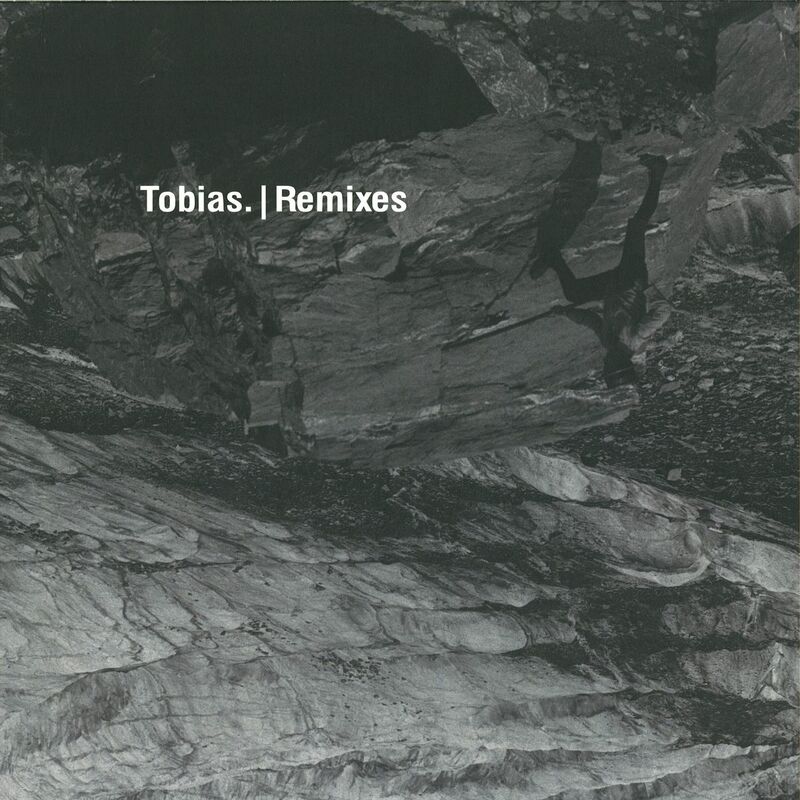 Even though it’s the final track, his Remix of “He Said“ couldn’t be further away from shutting down, instead it leads the mood of the remix EP towards the peak time phase. Reduced but to the point. Through combination of classic 909 drums and a remarkable arrangement of the original sounds Blue Hour manages to slay the dancefloor.